Online registration and payment now available for Teen Courses, Adult Lessons, Defensive Driving & both Knowledge & Road tests! NOW ENROLLING FOR SUMMER CLASSES! No more waiting in long lines at DOL! “WALK IN” Testing: Fridays! 11AM – 2:30PM. Road Tests and Knowledge Tests also available by appointment. Select “State Testing” tab or call now . Road Tests and Private Lessons now offered in Spanish! PLEASE CAREFULLY READ THE FOLLOWING: FAILURE TO COMPLY WILL RESULT IN FORFEIT OF YOUR FEE. 1 WA State Road Test in 911 Vehicle. Includes 30 Minute Warm-Up Prior to the Exam. 1 WA State Road Test with a 60 Minute Warm Up in a 911 Training Vehicle. WA State Road Test Now Offering the WA State Road Test! Please contact our store for eligibility and scheduling! WA State Knowledge Test We are a state authorized testing facility offering the Washington State Knowledge Test for Driver Licensing. Please call us for details at 253-813-0911. 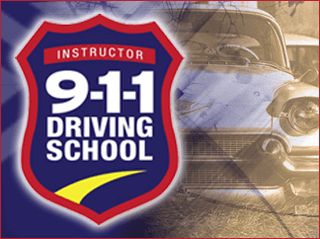 Private instruction will be conducted in 911 Driving School vehicle from the Main Kent location. Private instruction will be conducted in 911 Driving School vehicle.